FIBA Oceania’s Women’s Basketball Initiative in the Pacific Islands. 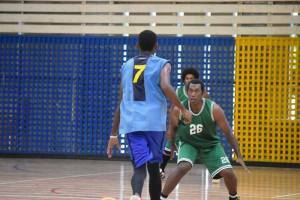 FIBA Oceania’s Special Projects Manager, Judy Smith, submitted applications for the funding for this program through the Australian High Commissions in various Pacific Island countries. 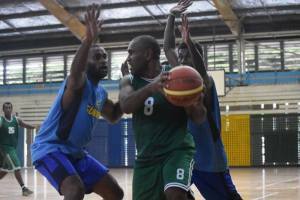 The Australian Government is a major sponsor of development programs in the Pacific region, and has supported many basketball initiatives put forward by FIBA Oceania over recent years. 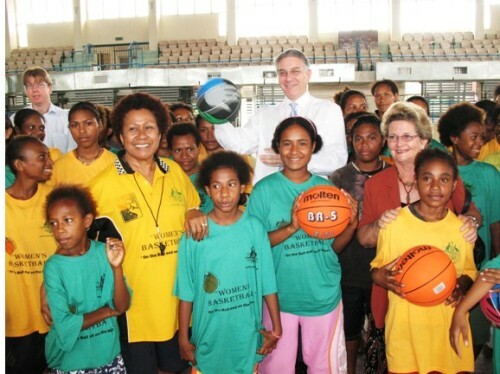 One of the most successful initiatives was a recent 3-country women’s basketball initiative, called “Women: On the Ball and On the Move”, which was conducted in Fiji, Papua New Guinea and the Solomon Islands. 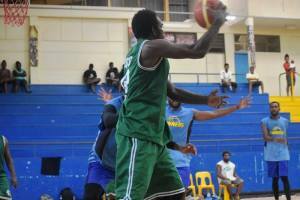 The funding provided by the Australian Government allowed the Basketball Federations in each country to cover the cost of court hire, transport, meals, uniforms and equipment for the participants. 1. 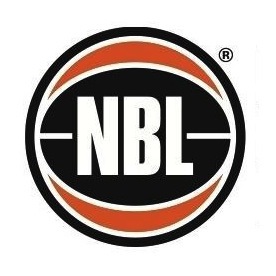 “Come and Play” – A program to get young girls involved in basketball for the first time. 2. “Come and Help” – A referee, coach and administrators program aimed at encouraging more women into these areas of basketball. 3. “Come Back and Play” – Aimed at women who have stopped playing basketball. Each of the countries conducted their programs differently, in keeping with their cultural perspective. However, in all 3 countries the programs were a great success. 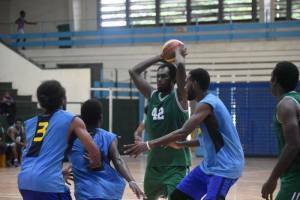 In the Solomon Islands the organisers included an HIV/AIDS Awareness workshop in their program, highlighting how basketball can help spread health messages to the community. Overall more than 500 young girls and women participated in the program across the 3 countries. 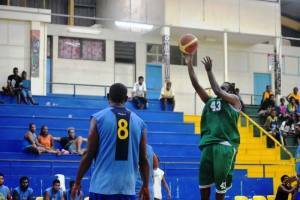 A large number of female school teachers attended the programs, with will ensure that basketball is included in the Physical Education and Sports curriculum in the schools. In all 3 countries high ranking female Government officials and Australian High Commission staff were invited to the opening and closing ceremonies. 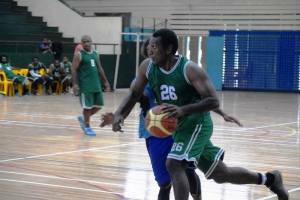 In Papua New Guinea, this included the PNG Sports Minister, Dame Carol Kidu and the PNG National Olympic Committee Women in Sport Chair, and National Basketball Coach, Mrs Veitu Diro. In Fiji, the National Chair of the Women In Sport committee attended the ceremonies, while in the Solomon Islands the Australian High Commission’s Anthea Blaikie was in attendance. The Women’s Basketball initiative attracted great media interest, with the national newspapers and television covering the event in all 3 nations. The PNG program was conducted in the capital city of Port Moresby, and attracted over 70 young women and girls. The 5 day program included coaching clinics conducted by members of the National Women’s team, as well as officiating sessions with national referee educators. The surprise in PNG was not so much the interest shown in the program, but more in the success of the follow-on programs. Veitu Diro and her enthusiastic band of volunteers followed up the program with more coaching clinics for primary and high school aged girls, and in just 3 months, there are more than 400 girls in 53 teams playing basketball at the Hohola courts every Tuesday and Thursday afternoon and evening. This is an outstanding result and the fruits of this labour will surely be seen when players are selected from these competitions into the national youth training programs. In Fiji the program funded bus transport to bring almost 300 girls from schools around the capital city of Suva to the Vodaphone arena for coaching clinics and introductory games. A highlight for these girls was the appearance of their National Women’s team who will be attending the FIBA pre-Olympic tournament in Spain. Many of the young girls took the opportunity to get autographs and have their photos taken with the National Players. 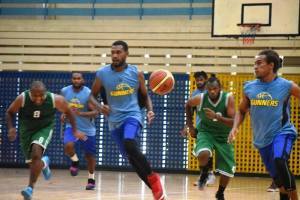 In Fiji the “Come Back and Play” program was very well supported by young mothers in the Suva community, and also by older women who played basketball in their youth. These women, once they got back on the court, were playing along side their daughters, laughing and enjoying themselves. As a result of this program, a ‘mothers’ competition is now being conducted in the Raiwai Youth Hall every Wednesday evening. It has been reported that the laughter from the hall can be heard from kilometres away. 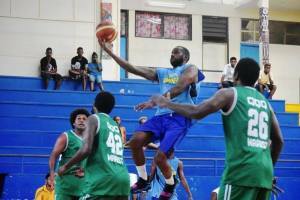 In the Solomon Islands, the “Come and Help” program was held first. This was a training program where volunteers undertook courses to improve their coaching and refereeing skills. Coaching clinics for primary school girls were followed up with a 3-on-3 girls only competition with prizes donated by businesses in the capital city Honiara. Once again, the girls in the National Women’s team came along to assist with the clinics and to act as role models for the younger girls. 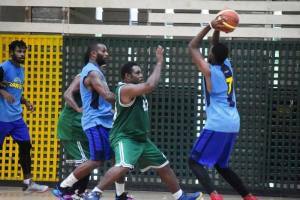 The “Come Back and Play” program in Honiara centred around a social basketball competition for women aged 30 years and over. 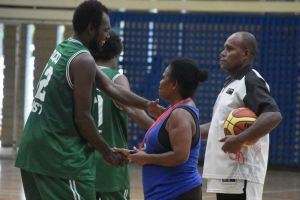 Solomon Islands Basketball Federation President, Freda Matangi, conducted and played in this competition, which ran for many weeks after the program concluded.